Description: EasyBlog Blogger Templates is a fully responsive, minimal, 2 columns Blogger theme perfect for personal blog, writers, travelers, bloggers, blogs. Bootstrap is used for responsiveness and supports all major browsers. It is beautifully designed clean and light color used theme perfect for everyone. 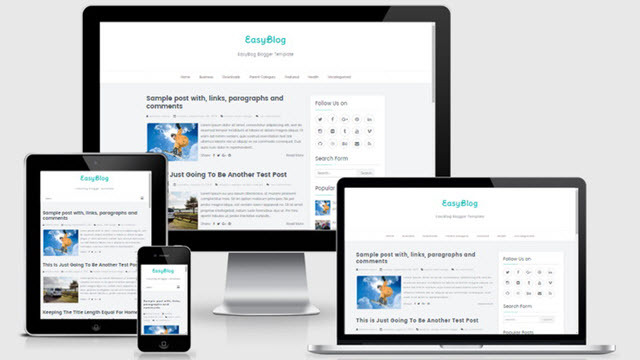 EasyBlog Blogger template has a right sidebar, top navigation menu, related posts with thumbnails, social and share icons, auto read more, Google fonts, back-to-top button and more.